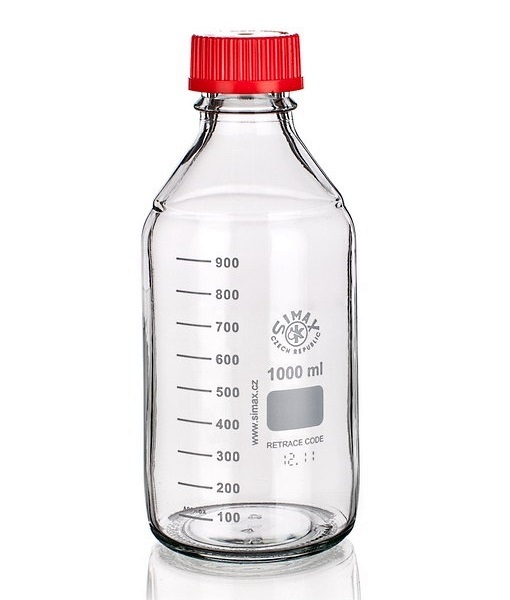 These reagent bottles are made of Borosilicate Glass and are graduated. Each bottle is supplied with a DIN GL45 screw cap and drip ring. The low coefficient of thermal expansion (3.3) provides temperature resistance that is far superior to that of standard lab glass. These bottles can be repeatedly used in freezers, microwaves, autoclaves and sterilization chambers. All bottles have permanent graduations for volume measurement and an identification box for marking or coding. Inquire about the availability of specialty caps and seals.